An antiscarring paste halted the fibrosis caused by the radiation used in cancer therapy when applied to the skin of mice, according to early findings of a recent study. In a review of the Dutch Bone Metastasis Study results, stratified for primary tumor location, palliative radiation therapy was found to reduce pain and improve quality of life for some patients. With some training and selective food reinforcement, pigeons performed as well as humans in categorizing digitized slides and mammograms showing benign and malignant human breast tissue. APBI: What is it and who is the appropriate patient? 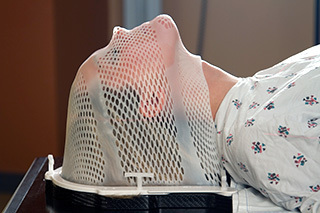 Accelerated partial breast irradiation is an option for brachytherapy that can deliver higher doses with better cosmesis for select patients with breast cancer. Do proton radiotherapy collimators pose neutron radiation risks? A computer modeling study introduces concerns about tungsten-alloy multileaf collimators. ONA talks to a lead author and critics of the study. Close more info about Do proton radiotherapy collimators pose neutron radiation risks?